Did you see this news? For the second year in a row the life expectancy decreases largely due to opioid related overdose deaths. I did a little further digging and found that last year’s announcement of a drop in life expectancy was the first time life expectancy for Americans decreased since 1993. The announcement this year is the first time it has decreased two years in a row since the 1960s. All of this due to opioid related overdose deaths. If you don’t believe that opioid overuse has reached crisis stage in America this should help get you there. The average life expectancy for Americans fell from 78.9 years to 78.8 years in 2015 and to 78.6 years in 2016. While we are generally much healthier and live, on average, much longer than our ancestors, a two year decline in life expectancy due to a completely controllable phenomenon is troubling. According to the CDC 63,600 people died from drug overdoses last year. Every age group saw an increase in drug overdose death rates. They were highest for people between 25 and 54 at about 35 per 100,000. The largest percentage spikes occurred in adults between 15 and 44. If drug overdoses continue to increase this year, life expectancy could decrease again. If that happens, experts say it would be the first time life expectancy would drop three years in a row since the Spanish flu swept through the country in 1918. Probably one of the most troubling aspects of the opioid crisis is no one has a response which can be generally agreed upon as best. The solutions all have advocacy groups pushing back against them. While the easy answer is to stop prescribing these medications, if there is no agreed upon alternative course it is likely that these patients would turn to illegal drugs. According to one study the number is 75% of new heroin users in the 2000’s got hooked first on prescription pain killers. What are we to do when the “people in charge” cannot settle on the right course? It is our belief, that for spine and spine related disorders chiropractic care should become the treatment option of choice instead of prescription pain killers and we might see that day come sooner rather than later. Largely how long we live is based upon how healthy we live our lives and the power to stay healthy rest in ourselves, our own actions. We are solely responsible for our health and what happens to us obesity, heart disease, diabetes, even cancer can all be caused by, and therefore prevented by, the choice we make regarding our health. According to this study over 1/3 of all cancers could be preventable by changing 20 known modifiable risk factors within eight categories. 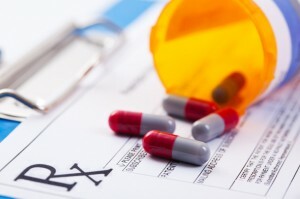 When it comes to opioid’s we don’t have to take these medications when offered. There are definitely circumstances where an opioid medication would be useful or a necessity but at the numbers these drugs are being consumed at today we can assume there are many people who are taking these drugs who shouldn’t. We cannot live a long life with a great quality of life hooked on opioid drugs. There are better ways to mange chronic pain and chiropractic is a great option.